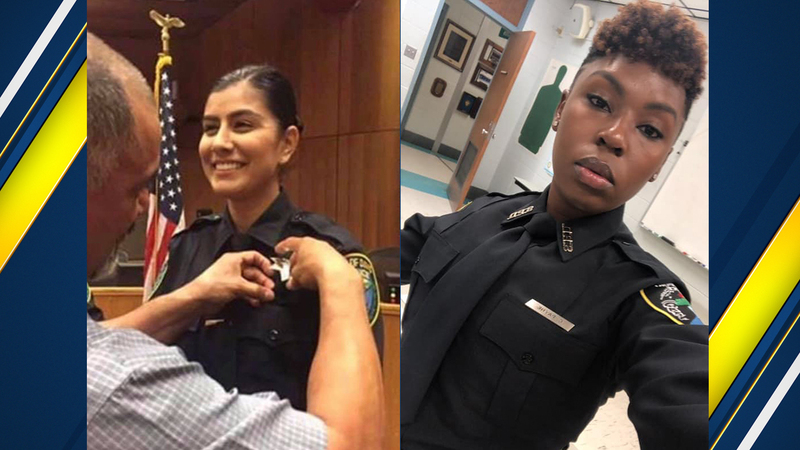 Officer Natalie Corona (left) and Officer Chateri Payne (right) both shot and killed in separate incidents in two days. Davis Police Officer Natalie Corona is now the second officer to be killed in the past 48 hours in the United States. Officer Corona was shot and killed Thursday night while investigating a three-car crash in Davis, California. In Louisiana, Officer Chateri Payne was shot multiple times as she was heading to work Wednesday night. Officer Payne was rushed to the hospital where she later died from her injuries, according to Shreveport Police Chief Ben Raymond. In Officer Payne's case, Chief Raymond said the department is actively searching for "the coward or cowards responsible for the brutal murder of Officer Payne." As for Officer Corona, police were able to locate the suspect barricaded inside a home not too far from where the shooting occurred. However, police announced just before 1:30 a.m. Friday that the man was found dead with what appeared to be a self-inflicted gunshot wound. Officer Corona started her career at the Davis Police Department in 2016 as a community service officer. She had just completed the Sacramento Police Department's training academy last July. According to the Williams Pioneer Review, She was sworn in as a Davis police officer on August 2. Officer Corona had just finished department's field training program right before Christmas and had only been on the streets for a couple of weeks. "She was a rising star within the department. And, I've known her for a couple of years. And, she started as a part-time employee volunteer. And, I can tell you that I haven't seen anybody work harder in a part-time capacity and be more motivated to be a police officer than Natalie," said Davis Police Chief Darren Pytel. Officer Payne had just completed her cadet training in mid-November, meaning she had been working as an officer for less than two months at the time of her death. She was hired by the department on July 27, 2018, and graduated from her training program on Nov. 16, Raymond said.